I know WRC 2019 is coming in a couple of weeks but... have you ever thought about building your own rally game with help from the community? We are always asking for cars, tracks, and whatever we can image. Why not build it ourselves? Image a game where we can import our own cars, Subara WRX, Toyoto Celica and so on. No limits, it might be hard work, but it would definitely worth it. Codemasters didn't contact me regarding the quote for how much they wanted for a DLC so. This is for all of us. Anyone on board? Take a look at gRally - made by community. Yeah... Building an entire rally game, from scratch. The idea is good but in reality I see onvthis forum a lot of different opinions about what peopke want, or like, or find most important. That's what I see is more difficult. We can not make everyone happy, but at least they would be heard. Why not? Thinking like that new games would never be released. No truly open source as far as I know. No change, two weeks, life is very stressful at Codemasters right now. It's not hard to make your own game! The first part is the engine - it just writes itself. Most likely three weeks of work and you will have everything done with Dx12, Vulkan, tesselation and raytracing. Cars shouldn't also be be a problem. All you need is 50 photos from outside and 20 from the inside. 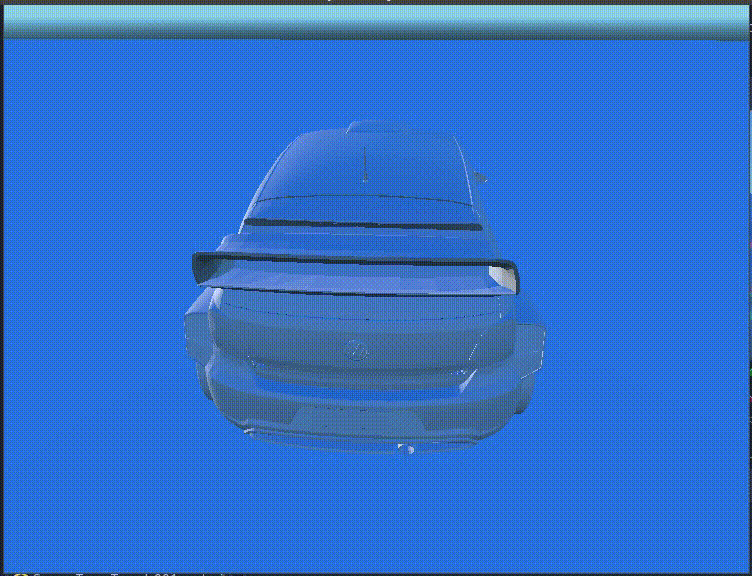 Just use some tools and they automatically generate photorealistic cars within hours. Sounds will be a little bit more tricky though. A mobile microphone should be enough, but you need to find a proper place to record the sounds - something like a garage. The tracks are the easiest part. All you need is a street-texture some trees and lots of grass, really lots of grass. And then you paint it on a heightmap. Everyone can do that at least. It is pretty much two weeks of work, the time consuming parts of game dev are all the parties and playing games all day long. I was hoping to get mod support from Codemasters from way back (I actually did a poll I believe), but they won't do it. The usually explanation is that "tools are too difficult", or "there is no UI, only our people can work using it", "we cannot have community made cars in our game because they could make cars that we don't own a licence for", "we don't have resources to provide customer support for mods (even if we don't need to provide it)" etc. In reality in most cases major game studios would rather maintain release cycle (for example one game every year) than release a game and let gamers make additional content that would prolong a titles life span (Kunoz, Bohemia and few other show that those kind of games have their place on the market though). RBR proves that there is a community willing to put in effort to improve a rally sim, but Codies don't really want a sim (or they have a different idea what a sim is- since they claim that D4 physics are in their opinion very realistic), nor do they want us to add additional cars/ locations. EDIT: totally forgot, but also Dirt is multi platform game, so it would make such process just too expensive on top of all since modding on consoles is pretty much not existing. Also- please don't take it personally, but by "WE" you mean "SOME OF YOU". It is gonna sound like a bit of a rant, but I work in a gamedev industry (completely not related to Codies and completely different game genre), there is tons of people with an idea like yours who are approaching other people to work on their vision project for free, or for revenue share, so I would advise not to say "Why not build it ourselves", because it puts people off big time. The only hope is for people who made original RBR to release a source code so people interested in using and improving it could try maybe work on that; still it wouldn't look and sound nearly as nice as Dirt, so still a niche thing. Impossible is nothing guys. More coming up in 2 weeks (tm). It will be fully open source, so no WRC models included, but you "might or might not" find WRC vehicles made by the community as the Polo is. VR and modding support planned. And if you know how, you can tweak the physics. but Toyoto and Subara would be a nightmare to recognise as such especially when it is a rally community... Maybe if you could develop an arcade game such as Horizon Chase, that would at least save some pressure on authenticity.